As of May, 2011, yours truly has been published in a real, hold-in-your-hands, paper-and-binding book, which has been translated into ONE language other than English. Guess which one. Italian. You nailed it. The book in question is titled A While Back: Sarà stato il succo di carota (It Was the Carrot Juice), and was authored primarily by one Mr. Clark Sandford, who, in addition to being an engaging storyteller, talented actor, skilled carpenter, and former fisherman/longshoreman/ferry boater/chiropterist, is also an awesome dad. I should know. 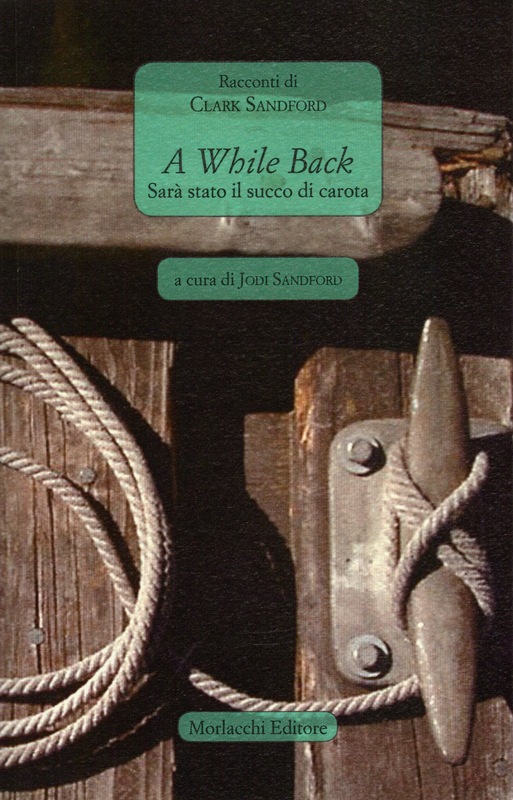 The book contains 20 chapters of real* stories from Mr. Sandford’s colorful 50+ years on Earth, and due to his colloquial, perhaps “cowboy-esque” style of storytelling, English professor Jodi Sandford of the University of Perugia thought that the collection would be a perfect tool with which to teach Italian students American English the way Americans speak it. And A While Back was born. My participation in the project began over 27 years ago when I was born, and, as such, became a character in Mr. Sandford’s repertoire of tall tales. Some time later, after he started writing his stories down, he would often email them to me for my opinion. On a few occasions, I wrote back more than he had bargained for: a disagreement with his recollection of events, an additional remembrance, a verbose, daughterly opinion. Several of my participatory replies are included in the collection as well, and that, my pretties, is the deal with this book. It’s now in its sixth printing, by Morlacchi Editions.